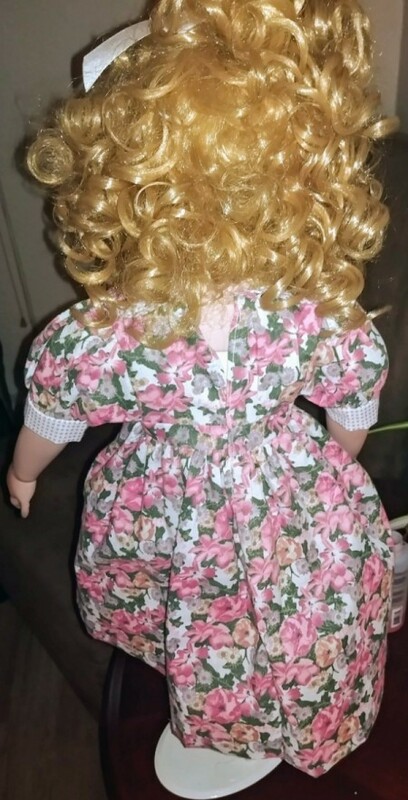 Can someone please help me identify the maker and name of this doll? I have looked everywhere. 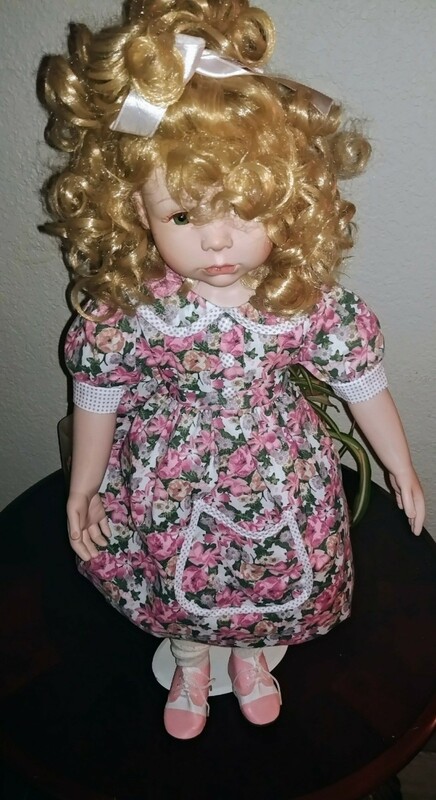 From my research I have found similar dolls from the manufacturer Paradise Galleries. If you Google Images + Blonde + Doll + Paradise Galleries you may be able to find an exact match...There are lots and lots of them out there. From my dealings some have monetary value, some just sentimental value. 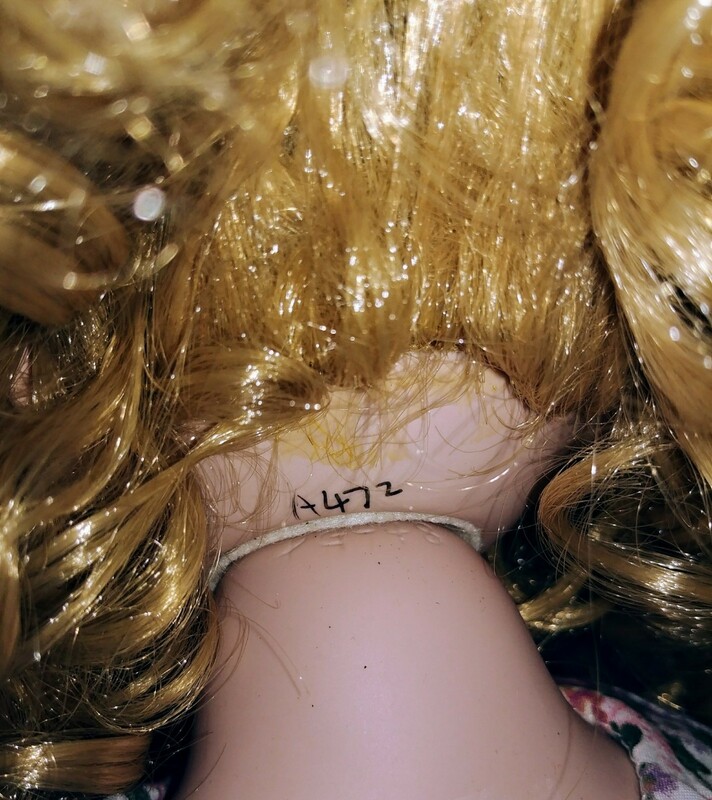 I like to dabble in selling cool things and found dolls do better at flea markets or tag sales than Ebay. This is because people are super fussy about condition and my idea of good and theirs are often different because I collect and sell what I like. True collectors are into grading and such. The nice thing about the flea/tag sale route is you can put a high price on it and a note OBO (or best offer) and let the market and your negotiating skills get you a final price!! Certainly a cute doll - look at that pouting face! She may not be very valuable but a very good display doll. 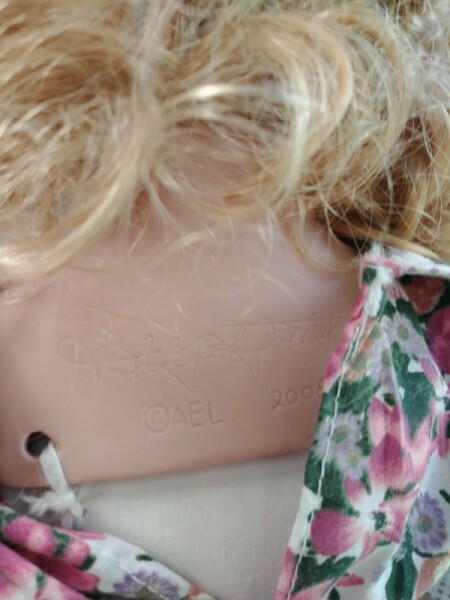 Dolls of all sorts, sizes, styles are so plentiful that it is difficult to keep up with even the makers brand names. If you wish to go a little further in your research you can post your question on this site and they will surely know the maker and can give you more information about your doll. If you are interested in selling her then your local Craigslist, Letgo, or any other local auction site would be a good place to try. People really like to see dolls in person and this one is so cute you could probably sell her quickly. You could ask for a higher price $40-50 and lower it if no one shows an interest. These selling sites are pretty easy to use and they are free to individuals.